Raoul Wallenberg was Prisoner # 7 !!! (AP) AMSTERDAM — Russian archivists have published new material from a German officer imprisoned after World War II who shared a cell with Raoul Wallenberg, the missing Swedish diplomat credited with rescuing tens of thousands of Hungarian Jews. Publication of the statements from Willy Roedel came as a surprise since the Russians had previously denied they existed, say two independent scholars who have researched the Wallenberg mystery for decades, in a paper released Monday. That raises suspicions that Moscow may be withholding information which could help solve the 66-year-old puzzle of Wallenberg's arrest and disappearance in the gulag, the vast Soviet network of prisons, labor camps and mental asylums, said German researcher Susanne Berger and Russian scholar Vadim Birstein, who were members of the Swedish-Russian Working Group that conducted a 10-year investigation during the 1990s. Wallenberg, hailed as one of the great heros of the Holocaust, would turn 99 this month and is almost certainly dead. But a determined group of relatives, scholars and admirers continue to search for any clue about his path through an opaque prison system that still remains largely hidden 20 years after the Soviet Union collapsed. The Russians maintain Wallenberg was executed July 17, 1947, but the Working Group said in its 2000 report there is strong evidence suggesting he lived many years as a prisoner under a different identify or known only by a number, perhaps as late as the 1980s. From the start, researchers sought information about his known cellmates, including Roedel, a former political adviser to the German ambassador to Romania, but with little success. Now, Roedel's statements are included in a book, "Secrets of the Third Reich Diplomacy," containing interrogation transcripts or protocols from about two dozen imprisoned German diplomats. It was published this year by archivists of the Federal Security Service — the successor to the KGB. The statements predated Roedel's two years as Wallenberg's cellmate from March 1945 to March 1947, and their content sheds little new light on the Swede's fate. But their mere existence is important, the researchers said. During the Working Group's investigation, Russian officials "routinely insisted that no records of Roedel's interrogations had been preserved. Therefore, we were enormously surprised when we came across a new book," they said. These statements "are the clearest sign yet that Russian archives still contain critically important documents in the Wallenberg case that have not been released," the researchers said. Roedel died under questionable circumstances in October 1947. In the statements, Roedel describes the activities of Gustav Richter, a German police attache who worked with the Romanian government on "the Jewish question," Berger and Birstein say. When Wallenberg was arrested, he was put in a cell with Richter for six weeks. "Of course it was intentional," Berger said in an email to The Associated Press. Richter would later be interrogated about Wallenberg, she said. Roedel's two statements, comprising about seven pages, were drawn from an unpublished 549-page investigative file, and their page numbers point to the possible existence of 57 more pages which the Russians have not released. "These pages may include information about RW's time in prison and possibly his future fate," Berger wrote to AP. "Ultimately, this shows that Russian officials cannot be believed when they say that they have no further documentation." The Federal Security Service did not immediately respond to questions submitted by AP in writing on July 27 about the existence of the 57 pages that appear to be missing or about its decision to publish the Roedel transcripts now. No official reason was ever given for Wallenberg's arrest in January 1945 in Budapest by the Soviet Red Army. During the previous six months, Wallenberg had distributed Swedish travel documents to about 20,000 Jews threatened with deportation to death camps, and dissuaded the Germans from their plan to obliterate the Budapest ghetto with 70,000 Jews. The book was the second recent revelation related to Wallenberg from the Russian security service. Last year, the agency's archivists told Berger and Birstein that a man identified only as Prisoner No. 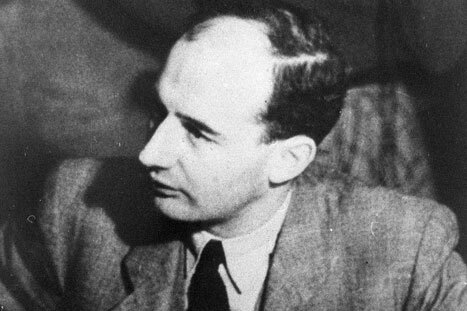 7, who was interrogated six days after Wallenberg's reported death, was "with great likelihood" the Swedish diplomat. That report supported the long-held belief that the official account of Wallenberg's death was false. Wallenberg's defiance of the Nazis, his disappearance and purported "sightings" of him in the gulag have made him a folk hero and the subject of dozens of books and documentaries. The mystery deepened after the Central Intelligence Agency acknowledged in the 1990s that he had been recruited for his rescue mission by the CIA's precursor, the Office of Strategic Services, and that much of his operating funds came from the U.S., including money from a discretionary fund of President Franklin D. Roosevelt.